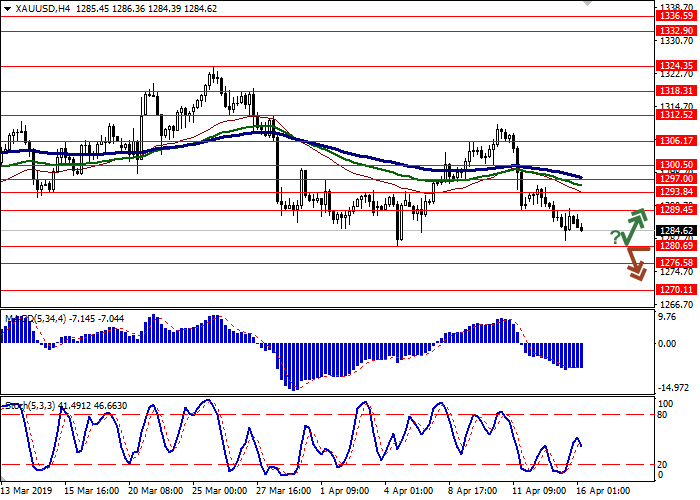 Yesterday, gold prices declined, renewing local lows from April 4. The development of a downward trend is due to a general improvement in sentiment, which stimulates investors’ demand for risk. In particular, the market was optimistic about some concessions of the American side in trade negotiations with China. It is predicted that the final trade agreement between the countries may be signed before the end of April. This week, a large block of macroeconomic statistics from China will be released, which will help assess the prospects for the development of the country's economy. On Wednesday, March statistics on retail sales and industrial production, as well as data on the dynamics of China's Q1 GDP will be published. On the daily chart, Bollinger bands are moving flat. The price range slightly expands from below, indicating the possibility of a downtrend development in the short term. The MACD indicator is going downwards, keeping a moderate sell signal (the histogram is below the signal line). 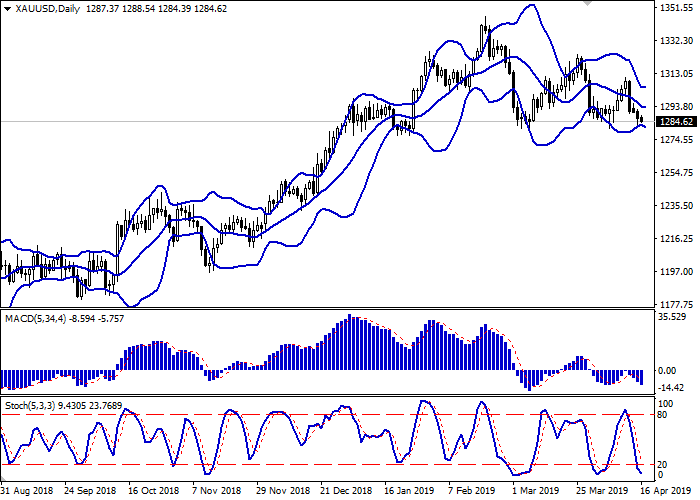 Stochastic keeps a confident downward direction but is in close proximity to the zero line, which indicates that the gold may become oversold in the super short term. The current readings of technical indicators do not contradict the further development of the “bearish” trend in the short and/or super short term. Resistance levels: 1289.45, 1293.84, 1297.00, 1300.50. Support levels: 1280.69, 1276.58, 1270.11. Long positions can be opened after the rebound from the level of 1280.69 and the breakout of 1289.45 with the target at 1300.50 or 1306.17. Stop loss is 1283.00. Implementation period: 2–3 days. 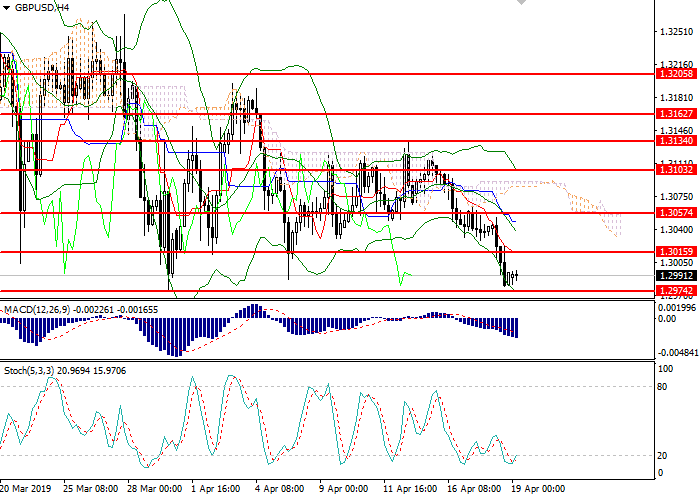 Short positions can be opened after the breakdown of the level of 1280.69 with the target at 1270.11. Stop loss is 1286.00. Implementation period: 1–2 days.